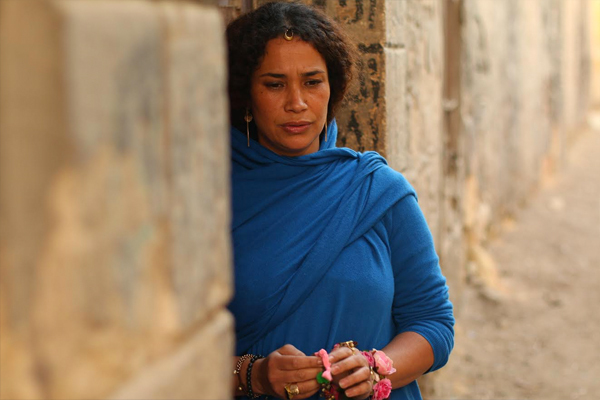 The Tunisian diva Ghalia Benali sings the night away in Cairo this Saturday. Ahram Online talked to Benali about her childhood, her grandmother's kitchen, southern songs, floral water, and all stories in between. 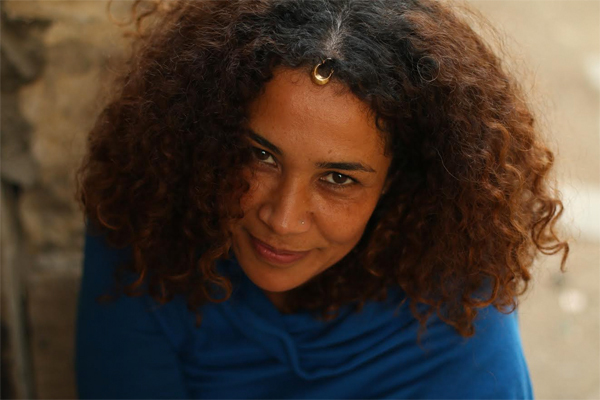 Between Belgium and Tunisia, Ghalia Benali has the best of both worlds. Born in Belgium to Tunisian parents, she spent her early childhood studying French against a background of authentic Arabic music. "I remember when I was four, dressing up in my mother's dress, wearing a big earring and holding a handkerchief and imitating Om Kalthoum," Benali told Ahram Online. Later, her mother's decision to go back to their home village in the south of Tunisia, instead of growing up in a foreign country, was a turning point in Benali's life. Being close to her roots till the age of 19, Benali's musical background was genuine and authentic. "And my mother was right, because most of the Arabs that grew up in Belgium explained that there is always something missing from their lives," Benali added. Southern Tunisia was quite conservative in the early 1970s and as a little girl Benali's social life was confined to her home and the annual summer visit to the seashore with her father, who was a physician who made regular calls to the hotel nearby during the summer vacation. "Tunisia means southern songs — spontaneous, improvised and folk — that we sang while hiding away from the sun in the late afternoon. We would use plates as drums and gather at the kitchen, singing as my grandma would fix her delicious baklava treats … I still remember the flour dust on her neckline and the scent of floral water she used in cooking," Benali remembered. "When I listen to old Tunisian songs, I jump into my grandma's world and imagine the contexts of such songs," Benali said. Singing was a regular part of Benali's life. 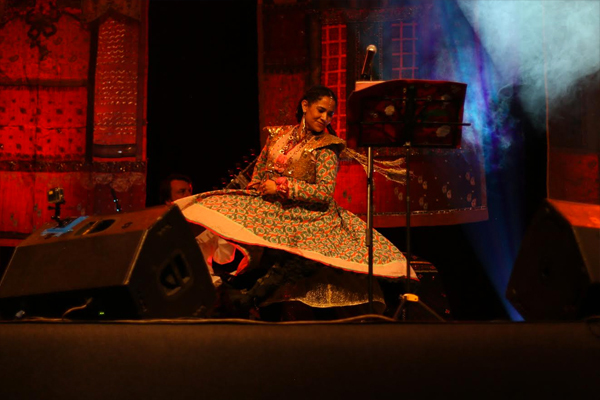 "Towards the end of every family gathering, I would walk in a costume of my own design, perform and sing," she said. This simple life gave room for a richness in imagination and performing talent, kept free of the influence of television that was allowed only at 6pm. Returning to Belgium at the age of 19 to study graphic design, Benali enjoyed it to the full. "In Tunisia, I was living in a world of my own, inside my room, but in Belgium I was interacting with people," she said. Being away from home, made singing a need, a must, a home away from home. Despite being a francophone, to Benali singing must be in Arabic, "Because the language itself gives me room to dream, and takes me to another world." But language differences was no barrier to her audience who were touched by the energy and passion she managed to convey through her performances. "I explain to my audience that this is because Arabic is originally the language of chemistry: it's magical, you can see the magic and feel it, for Arabic words are multilayered and quite expressive. When singing, I feel the words with all my being," she explained. In 1993, while travelling to Portugal with her friends, Benali met a Hungarian gypsy. They drove to Lisbon and sang together throughout the ride. Later that night, they danced and sang the night away by the moonlight. "Six months later, she invited me to perform in six concerts sponsored by authentic folk places in Portugal. There I was among a Lebanese singing troupe infront of an audience of 3,000 in the garden waiting. I improvised and met the musicians onstage for the first time. The programme included flamenco, classic, jazz and myself in Arabic. Sponsored by Roland, the maker of musical equipment, that was their big launching event. They even made the event's poster from one of my designs, and we called it Arabian Nights. It was a great success." But the official launch of Benali's singing career took place on 14 December 1996. Together with her fellow Tunisian oud player and composer, who came to study in Belgium, she performed in Belgium in her first concert. It was a small theatre in a small town, but tickets were all sold out. A week before the concert, Benali was treated to attending a surprise concert by one of Syria's Sufi legends: Sheikh Adieb El-Daiekh. "I grew up listening to his chants, I memorised his lyrics and sang them quite often. I was enchanted by the surprise, we connected and when I asked him to sign the poster of my first concert. He smiled, invited me to sing in Syria and asked for my autograph instead." "That was a big sign from God, that I was heading in the right direction," and the journey began. That was the boom of World music, back in the 1990s, and Europe was very open to this enchanting trend that brings people together. 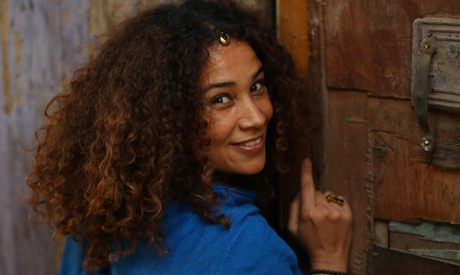 Sixth months later, Benali made news headlines as, "Ghalia, the ambassador of Arabic culture" — that she creates bridges between Arabic and Western culture. "Suddenly we realised that we understand Arabic. We felt what this culture represents. We realised that we are all the same. There was no internet back then. Music was the main connection." 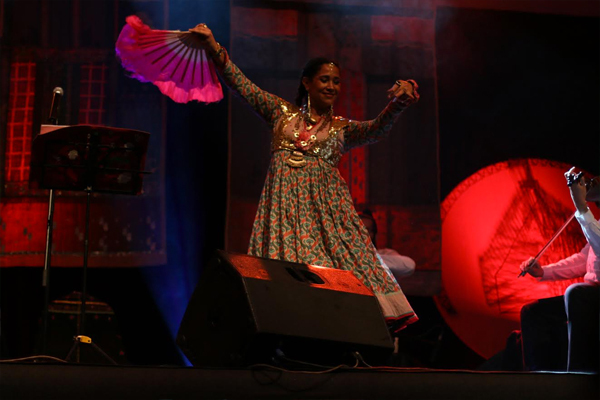 Benali's concerts are a fusion of music, cultures and a vivid connection with folk music. 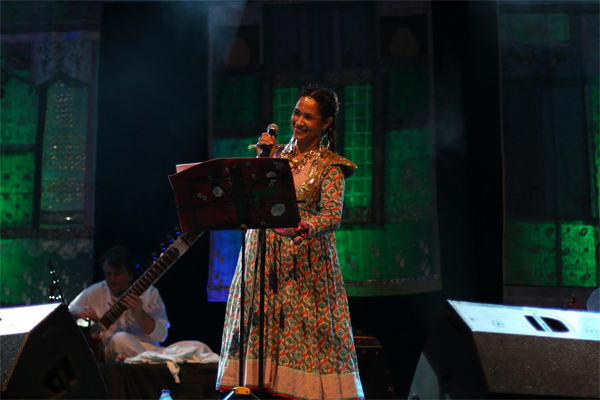 Be it Sufi chants, songs from the early 1920s, or modern lyrics, she manages to give them an authentic flair that takes you back to her grandma's kitchen, or unfolds an enchanting life secret. She carries with her, her grandma's locket, folk braids and a mixture of folk attire that shimmer wherever she sets foot. "Souls are eternally connected, and when I sing I become this connection. That's a phrase that was inspired by my stay in Egypt. Here the souls of things are very present," she added. Half the truth won't convince you, half success won't lift you up, half a love won't fulfill you and half a revolution will never set you free. Citadel festival, Citadel, Cairo, Saturday 29th September 2015 at 9 pm. Bibliotheca Alexandrina - Wednesday 2 September 2015 at 8:30 pm.